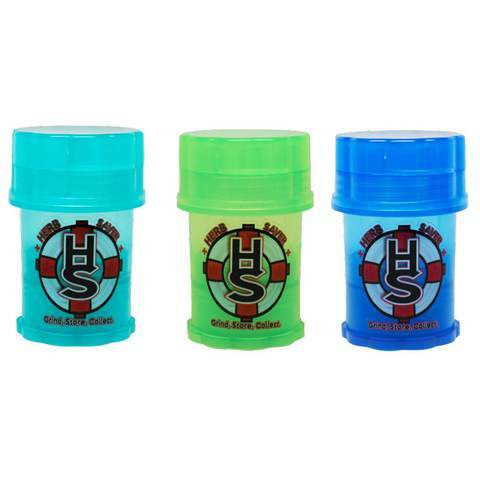 The new and improved HerbSaver grinder has arrived! These things are great for anyone who likes to take their herbs out with them and but doesn’t want to fill their pockets. 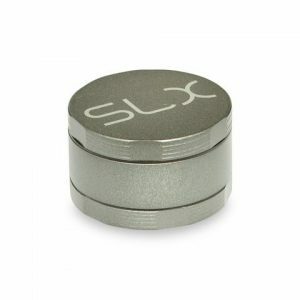 This 2-in-1 container and grinder is a perfect space-saving solution at only 2.4 x 3.8 inches (61mm x 96mm) in size. This should be more than enough space to prevent you from running out of herbs when out the house. The sharp interlocking plastic teeth make light work of shredding herbs whilst also fluffing them up. 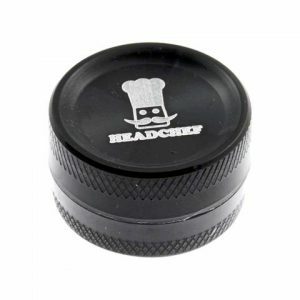 The grinder doubles as a screw-on lid for the container and the lid to the grinder itself is held on by a strong magnet. 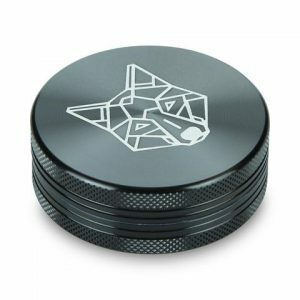 The container comes with a stainless steel pollen filter which is great at filtering your herbs and a scraper tool to help remove what’s been collected. This can be easily removed if preferred, creating more storage. The HerbSaver is both odour and water resistant so there’s no more worrying about split bags. Cleaning couldn’t be easier as all parts can be washed using soap and water. There’s 8 different colours to choose from in the drop down box.